CGrowth Capital, Inc. (Pink Sheets: CGRA) (the “Company”), is pleased to announce that their CEO, Bill Wright, was featured on TheStockRadio.com radio show yesterday morning. The interview discusses the Company’s business model and current projects, talks about the relationship with Jason Otteson of Noble Mining, and future plans for the Company. CGrowth Capital is also giving away silver! 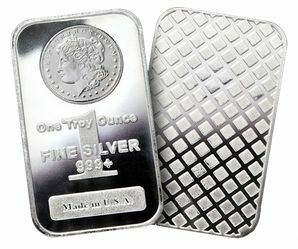 In recent months, the Company has been announcing an upcoming drawing for a free ounce of silver to a person each quarter that has registered on the website to become part of the Company’s mailing list. The first give away is to take place on March 31, 2013. Hurry up and register under the Investor section of the Company’s web site, http://www.CGrowthCapital.com, for a chance to win! CGrowth Capital, Inc. serves as a holding company for businesses and assets focused on all aspects of mining. The processing of metal ore mining is a multi-billion dollar market opportunity which is capitalized through processing, sales, contracting and licensing of assets. CGrowth Capital’s services and solutions are designed to assist land owners with monetizing undervalued assets by bringing commodities such as gold and silver to market. CGrowth Capital will focus on acquiring or “claiming” land assets, while also providing partners and affiliates with management services, capital, contract management and logistical services necessary for the successful execution of mining operations. but this web site provides feature based content. about here? I’d really like to be a part of online community where I can get responses from other experienced people that share the same interest. If you have any recommendations, please let me know. Appreciate it! Hi there to every body, it’s my first pay a quick visit of this blog; this weblog consists of awesome and genuinely good stuff in favor of readers. It’s always useful to read through articles from other authors and practice a little something from other sites. Great post. I used to be checking constantly this weblog and I’m impressed! Very useful information particularly the last part 🙂 I care for such information a lot. I was seeking this particular information for a long time. Thanks and best of luck. hoping to give a contribution & assist different users like its helped me. What’s up everybody, here every person is sharing these familiarity, therefore it’s good to read this webpage, and I used to visit this blog daily. fact how to do blogging.